From an early age I have always enjoyed working with my hands and making things, greatly encouraged by my family, which has a rich history of woodworkers. I was given my first basic tool kit at the age of 10. Throughout the formative years, my love for creating with wood evolved under the guidance of a retired family friend and he was my inspiration to continue this education at Cornwall College, and then later at London College of Furniture. 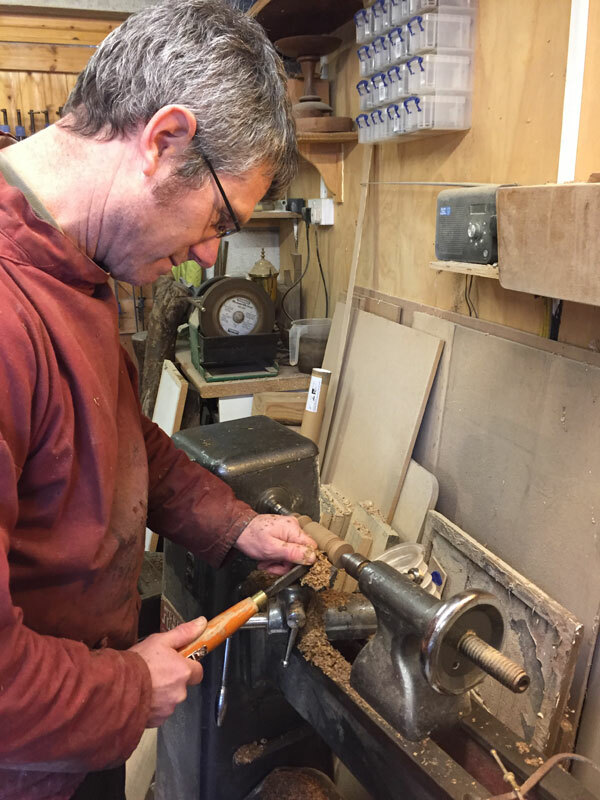 I went on to work in restoration workshops in Devon and Dorset gaining experience of many techniques and having exposure to different furniture styles from across the ages. Now with 25 years of experience restoring and making furniture, I have knowledge of working with all periods of furniture from early Sixteenth Century pieces right up to modern furniture. Using both traditional methods and modern day techniques, I am a skilled craftsman with the experience to employ the most appropriate methods to sympathetically restore pieces back to their former glory. Designing and making new furniture to commission, I work with clients to create bespoke pieces to suit their specific requirements. This might involve recreating an existing piece or designing an original project. I specialise, in particular, in sewing tables for quilters and dressmakers, along with other sewing room furniture to complement their workroom. Such designs can also be adapted for other crafts people from horology and clock repairers to scrap bookers and card makers.